New Super Mario Bros. U is the highly inventive latest instalment in the legendary and iconic franchise that is Super Mario. Our favourite Italian is now here on Nintendo’s innovative home console the Wii U, offering a brand spanking new and wide range of gameplay with the use of the ingenious screened gamepad. Join Mario and friends once more, as you delve into his universe like never before. 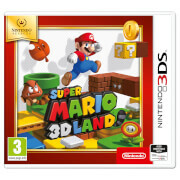 This game is the direct sequel to Super Mario Bros. Wii, and gives you another side-scrolling adventure in the beloved Mushroom Kingdom, but gameplay has been overhauled in order to fully utilise the new options that the Wii U Gamepad has to offer, particularly the touch screen that measures over six inches long. Players can also play as their Mii characters alongside the iconic Mario, Luigi and Toads, and now have the option to socially connect with the Miiverse. When connected to the Nintendo Network, players can connect to the Miiverse and see other players’ accomplishments, comments, and feedback, as well as leave their own for others to see. A brand new feature that has been introduced, amongst others, is the Boost Mode. 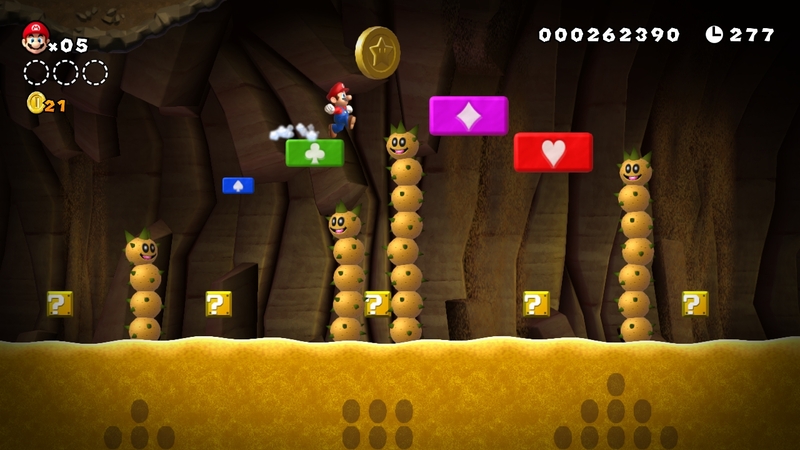 This mode guarantees multiplayer fun, as another play can jump into the game using Boost Mode, and can create platforms out of thin air by touching the touch screen on the Gamepad, which dissipate when the player stands on them. 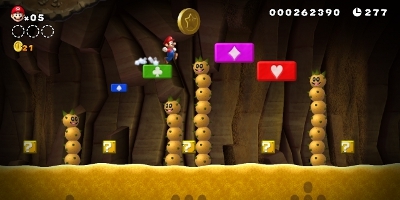 These blocks can be used to either help or hinder Mario, as you can use the blocks to help the Wiimote-based players reach secret areas, escape enemies, make difficult jumps, and avoid falling to their deaths, or you could use the blocks to cause more chaos and your friends to lose a life. The Boost Mode also makes co-operative speed runs possible for those players that fancy themselves a challenge, in which they can use the Gamepad to interact with and manipulate objects in real time, meaning new ways to find the fastest routes through each level. 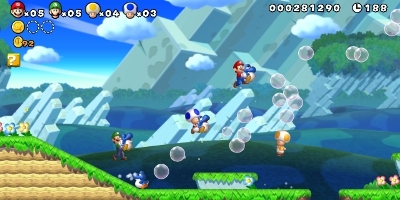 Another new feature in New Super Mario Bros. U is the Tiny Balloon Yoshi. Mario can carry the baby Yoshi in his arms, and then when the jump button is pressed whilst Mario is in mid air, Yoshi will inflate with air, allowing Mario to gain altitude on his jump. 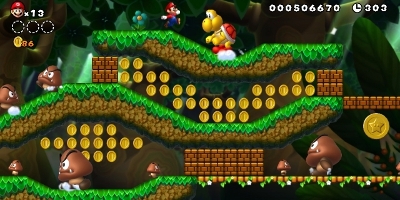 Repeatedly pressing the jump button allows more and more altitude to be gained until Yoshi grows tired and deflates, and Mario will float slowly and safely to the ground. Alongside this, there is also the Flying Squirrel Mario suit, which is a gliding suit that allows Mario to sweep through levels and cling to walls, as well as get a single boost of altitude when jumping before slowly floating him down to the ground. New Super Mario Bros. U is one of the best Mario games ever, must buy! 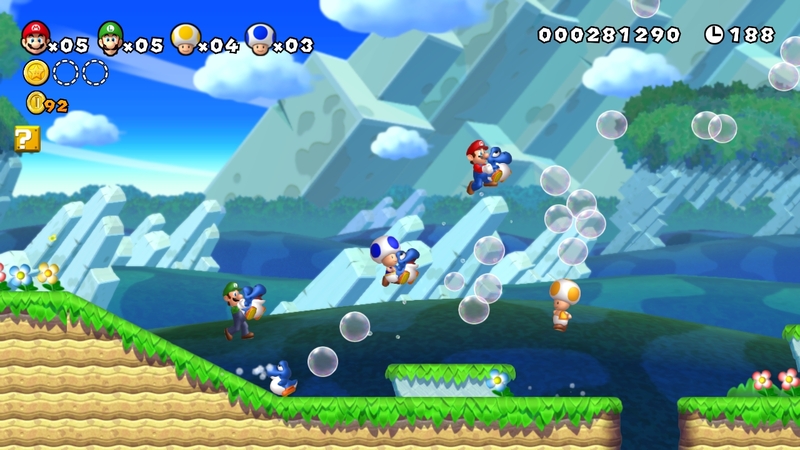 New Super Mario Bros. U (Wii U) gives great multi-player hilarity! It has some challenge to it but it can be overcome with perseverance. It's more for regular gamers than the 'casual' generation, but it's good fun for the family. If people get stuck, then the person with the Wii U pad can help by creating blocks. In short, it's not as great as the classics, but still good fun and much more inclusive for newer gamers and the family. Just don't expect something along the line of Wii sports. I like New Super Mario Bros. U (Wii U). It's detailed and made with love! It's very funny! 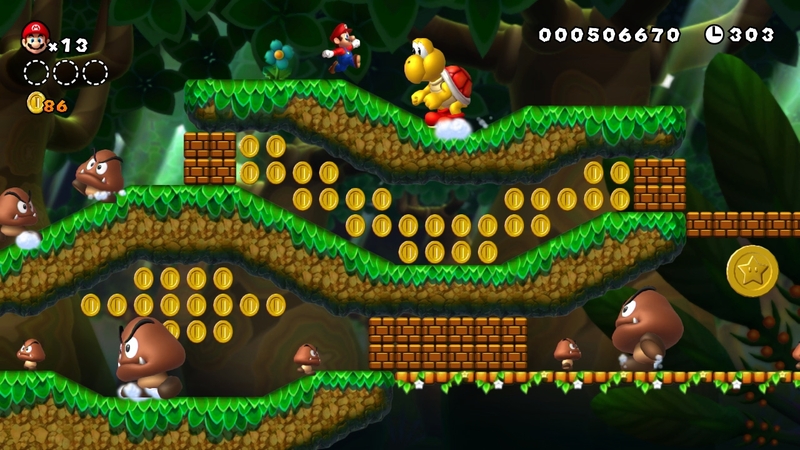 New Super Mario Bros. U (Wii U) is an excellent addition to the Wii U games! It's a must. New Super Mario Bros. U is one great game. It's easy to pick up and start playing. I will recommend it for all ages. The greatest thing though is the HD graphics, which are a 1st on a Nintendo console. You can see so much details on screen and you can enjoy classic Mario gameplay. I bought a Wii U just to play this game and I can't wait for games like Pikmin 3 and Zelda in glorious HD. Wii U, What A Console! I have to agree with one of the reviewers below regarding the pricing of this game because it is pretty expensive for a game that isn't that much different from it's predecessor. Sure, there are new items and new worlds to explore but it genuinely felt like the same game with the same music added to the mix. It felt like there was no inspiration behind the development of this game. That being said, it is a Mario game so it is worth playing even if the reason being is to see him play in HD. I bought this game as I'm a long time Mario platform fan (Super Mario World has to be my favorite 2d Mario). After having my Wii U for a couple of weeks I got to see how much buzz there was for this game on Miiverse which really helped persuade me to buy. How glad am I that I did, this game is brilliant. Amazing old school 2d Mario platform action that can be quite challenging at times. Absolutely love the world map overview (reminded me so much of SMW) and the Miiverse integartion into the map too. What I wasn't expecting was my family would get so much fun out of it too. My 5 year old son loves to play this game and we team up to play 2 player through the various levels. Also, my 3 year old daughter just loves to have the gamepad and use it to place extra platforms for me and my son to use to get to the more difficult places. Even when they get bored of playing they still want to watch me play and enjoy shouting at the TV when I complete a level (or die for the 5th time in a row). Add in the fact you can play this game just on the gamepad (which my wife thought was great as she could watch Big Brother whilst I carried on playing) and the bonus rush mode and other challenges and there is plenty of life to this game. I'd highly recommend if you love platform games and also have a young family that wants a break from Nintendoland for an hour or so. Excellent game for the whole family - Highly recommend. New Super Mario Bros. U (Wii U) features classic 2D platforming, which can be played on your own on the TV, or the Wii U's game pad. You can play it alone or with friends.